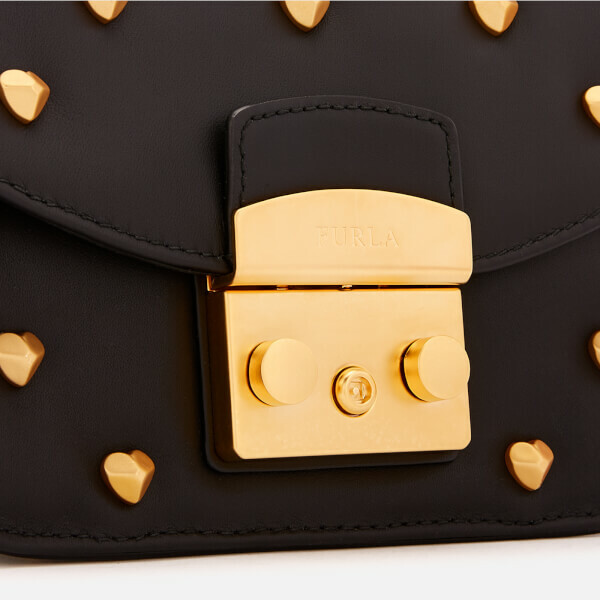 Black, ‘Metropolis Amoris’ mini cross body bag from luxury Italian accessories brand, Furla. 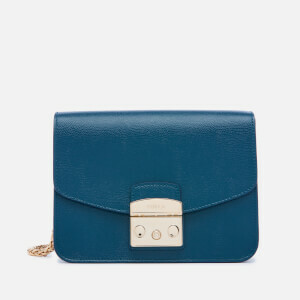 Realised in smooth calfskin leather, the compact bag features all the trademark characteristics of the label’s iconic ‘Metropolis’ design with a fold-down top, signature push-lock clasp and gold-tone snake chain strap. 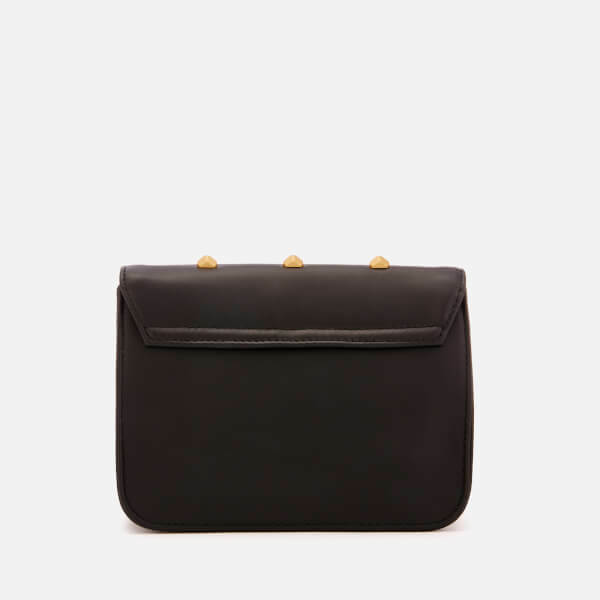 Within, the grosgrain textile-lined interior houses a slip pocket. 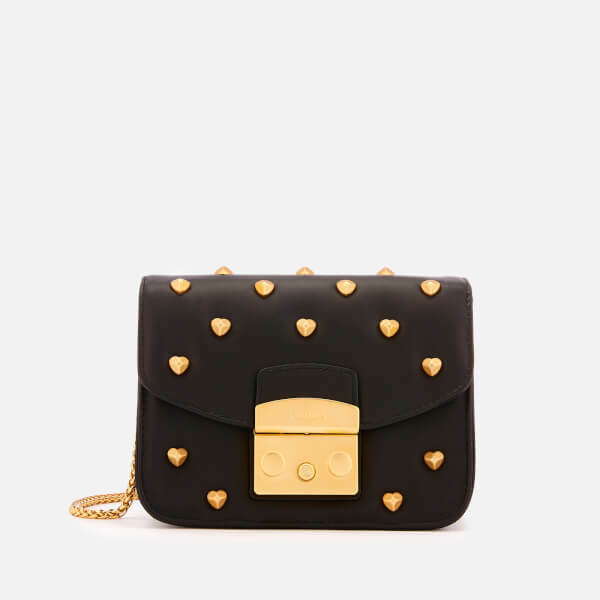 Embellished with 3D heart-shaped appliqué studs, the bag is complete with matte gold-tone hardware, protective metal feet at the base and branding etched to the metal fastener. Branded dust bag included. Dimensions: H: 12cm x W: 17cm D: 8cm. Strap Drop: 45cm.